I'm hoping for happily ever after for Dale, but the end credits presaging something else in the woods, maybe for someone in the new show to take care of in another season! David Lynch works out a deal with Showtime to make more movies. Sorta like Woody Allen and Amazon. Sheriff Harry Truman walks into the police station. He is chewing a donut. Lucy immediately bombards him with a long winded synopsis of everything that has transpired. Truman chews very slowly, swallowing only when Lucy rushes off to the bathroom. She says she is sorry for eating evidence that is 25 years old. Elad Repooc wrote: It's already done, so all we can do is go along for the wild ride. As for a prediction of how I think it might end, I think it might end both open and closed. I think the Cooper story will have closure, but there will be something else left open. I think that would be ideal. It would mean it would feel okay if they decided not to make another season, but also okay if they did. You would feel "okay" if they don't make another season?! Moderator!!!!! Elad Repooc wrote: You would feel "okay" if they don't make another season?! Moderator!!!!! If it was wrapped up well, yes. It might be better to have 18 episodes of David Lynch genius than to have it dragged out for years just for the sake of it. That being said, if Lynch and Frost were able to continue it in a way that they are happy with, that would be great. All things considered, though, what might be the best scenario is if Lynch and Frost were to start afresh with a totally new series about something different. Then there would be none of this talk about whether or not it's like the old Twin Peaks. It would be something new and fascinating in its own way. Alternatively, it could be an offshoot related to The Return, but not related to the town of Twin Peaks in any way. It could be called Buckhorn, for example. I'm guessing before this season is finished Lynch will announce that there will not be anymore Twin Peaks and it was never meant to extend past 18 episodes. We will probably not see or hear from Annie. Not even in the finale. But that way I can only be pleasantly surprised. Secretly I'm still rooting for her presence. I'd settle for just "hear about" at this point. I mean literally the last line of the series for 25 years was "How's Annie?" That said, I am 99% positive we'll "hear from her" indirectly - through Laura's note relaying her message. This is, as far as I'm aware, the *only* breadcrumb Lynch ever dropped in 25 years. I want the story to have an ending, an open ending sure, but something that feels final (for what it's worth both the original series and FWWM felt that way to me). I just don't see another season in the works. This was a 5-year effort for a 71-year-old man who hadn't directed anything even feature-length since 2006. I think we already got more than we could have asked for/expected. 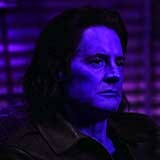 pinballmars wrote: For all of the dark things that happen along the way, Lynch often favors a happy ending to a story. When he adapted WILD AT HEART, he changed the downbeat ending of Barry Gifford's book into a happy one. And when it comes to TWIN PEAKS, I think Lynch has too much affection for Dale Cooper to end this on a sour note. Cooper's journey back to something resembling normalcy will be long, strange and probably painful, but I have little doubt that he's headed toward better times. I think it will be melancholy but transcendent, more like the final scenes of FWWM, The Elephant Man, or Inland Empire than something straightforwardly joyous/relieving as Blue Velvet and Wild at Heart. As much affection as Lynch has for "normalcy" (or at least his offbeat interpretation of that), I don't think he reveres that state enough to return Cooper to it. I think he's rather see him attain a higher plane. This probably involves pain, sacrifice, and some form of physical death as it did for Laura, Merrick, and Nikki. I would not be shocked if Cooper ended up going right back home to Janey-E and Sonny Jim. 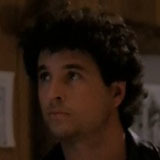 LostInTheMovies wrote: I want the story to have an ending, an open ending sure, but something that feels final (for what it's worth both the original series and FWWM felt that way to me). You may not see it, but Lynch, Frost, and MacLachlan certainly do. They've indicated as much, Lynch and MacLachlan very recently (on the eve of the premiere of the new show, so to speak), which frankly came as quite a shock to me (I didn't expect anything of the sort at this early date already). I guess Lynch has other things than such trivialities as his age and health to worry about. Besides, what you said about him not directing anything for years is slightly contradictory in light of the new TP: the very fact that Lynch was able to pull off something like this after his 2006-onward hiatus proves he still has it in him, providing the idea/inspiration is there. And vibes regarding the latter which are coming from the production side are promising. I'd love them to do more but I'm greatly interested in whether Showtime is happy with the economics. The U.S. live ratings for the new season are not kind and are actually somewhat bad compared to stuff like American Gods, Fargo, Better Call Saul, and The Leftovers, but factoring in streaming and international licensing in bunches and bunches of countries around the world means that millions ARE watching TP on some form of media. No one really knows obviously but I get the feeling everyone is just being coy when they talk about more seasons. Everything about this suggests it will be very final. Everything but practically everyone's statements. Lynch doesn't have absolutely anything to gain by being coy in regards to it. Not at this point. What I dread is that either the real Cooper is dead and that the series is his journey of acceptance of that, a la"LOST" or "Jacob's Ladder". That, or the series is Cooper's journey from the black lodge to the white. The next time you see me it won't be me.